In recent posts, I already wrote about my experiences with Simon Brown’s software SDR Console V3.0. It matches most SDRs, delivers now up to 24 virtual receivers and is capable to run multi instances, i.e. you may run several SDRs on one PC in parallel. That’s exactly what I did when I connected three SDRs FDM-S2 to a PC, running 35 different ARINC-635 channels in parallel resulting in 68.000 decoded messages. It worked brillantly. And there is much more, e.g. recording and playing 24 audio channels from broadcasters throughout 20 MHz (the whole FM band!) with hardware RFHack One. 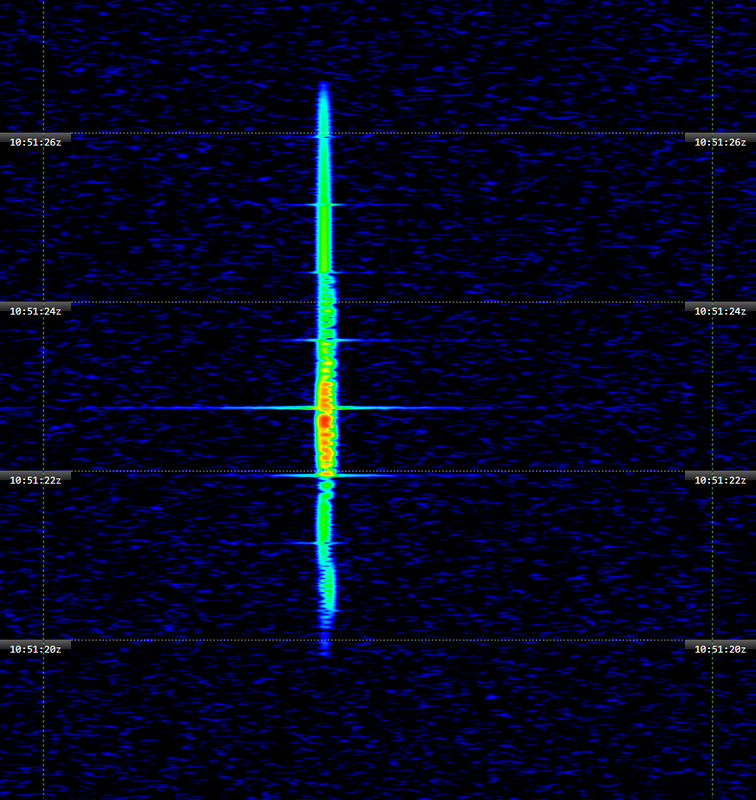 The original software for Elad receivers provides a very useful feature, resembling the old radio scale: it inserts some station data from a list on their proper place in the spectrum – see screenshots above (utility) and below (broadcast). You may invoke several lists like EiBi and your own memories. These list just must comply to the data standard, Elad had set. You may also set up your own list. 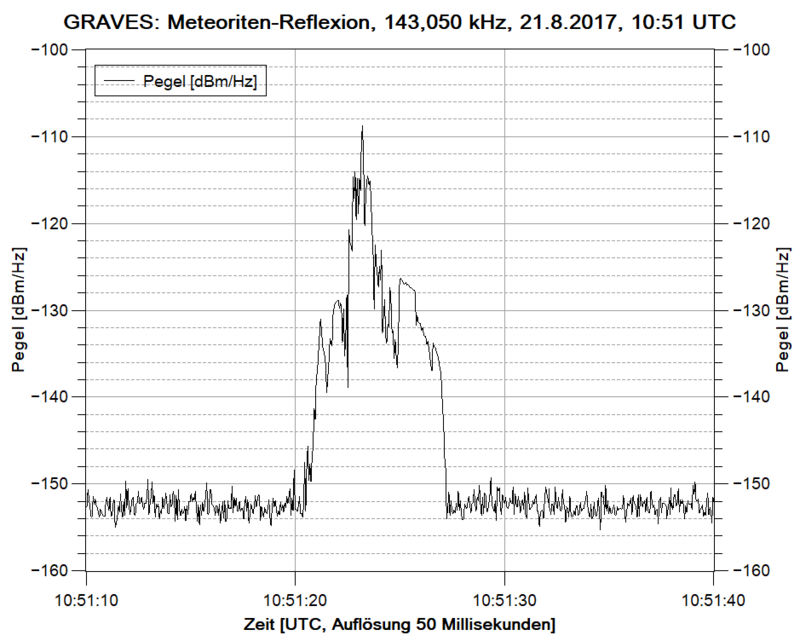 If you sepcify a transmission time other than 0000-2400, only the stations active at this time will pop up. With Bernd Friedewald’s (DK9FI) International Listening Guide there is such as matching list available providing 31.000+ entries of brodcast as well as of utility stations. Bernd is a long-time professional in the field of broadcast monitoring and international consulting in this field. You may also edit this list. 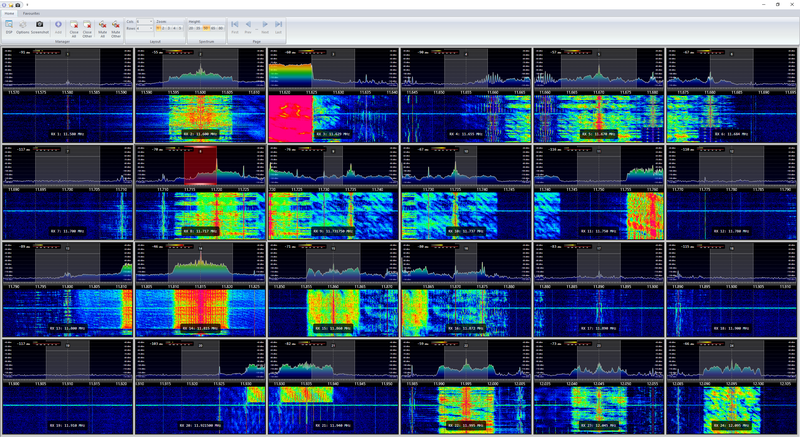 24 virtual channels in sizeable windows of 24 kHz width each – also zoomable. 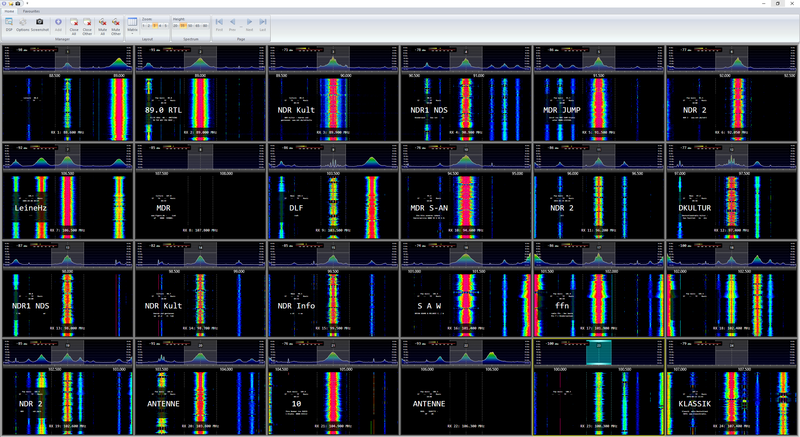 In a sneak preview of his SDR software “SDR Console”, Simon Brown again presented all SDR enthusiasts with again another major achievement: up to 24 independent virtual receivers! Called “Matrix”, and beautifully layouted, each virtual receiver can be placed within the bandwidth of an SDR, i.e. about 5 MHz using an FDM-S2 by ELAD. Each virtual receiver may carry it’s whole individual settings of e.g. mode, bandwidth and AGC. I also tried out three instances of this software in parallel with three FDM-S2 to cover 15 MHz with 72 indvidual virtual receivers. Their output may be fed to recorders and/or decoders via virtual audio card. See this introductory paper for a first view. It shows in praxi how to use this stunning feature to tune into 24 broadcasters in parallel, record and play their transmissions. More to come, e.g. examples with of monitoring with decoders. ELAD’s FDM-S2 provides the output of three different channels within a given HF bandwidth of up to nearly 5 MHz. Hence, you may decode these channels in parallel. 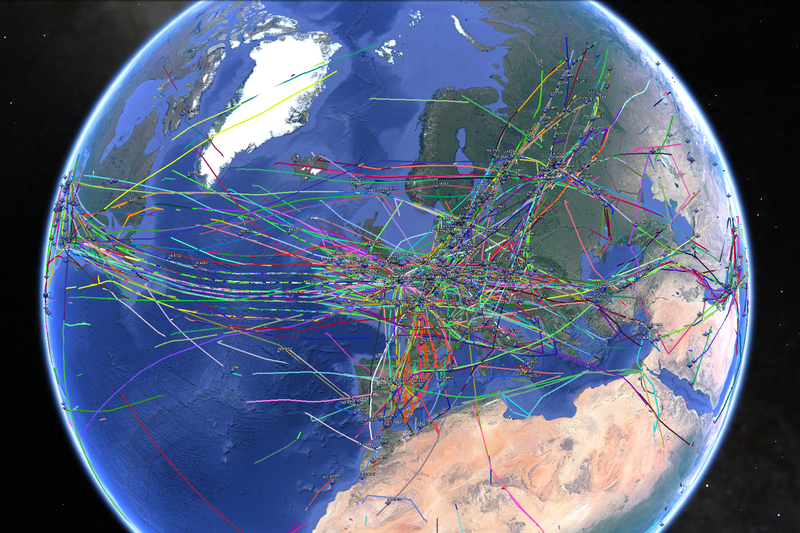 ARINC’s reporting system of ground and airborne stations is an excellent candidate to show this feature. This paper is a step-by-step introduction in how to set up the receiver, the virtual audio cables (VAC), decoder, documenting software and Google Earth to show the results on the globe. You may then easily configure hard&soft for other applications, e.g. the monitoring of GMDSS channels with communications from ship and shore.